The other hit was the Zambezi River, the lazy river which surrounds the entire park. We also visited the outdoor park, which was more crowded because it was the opening weekend of the season. The Girl had a similar pre-school version of that expression when I brought her over the Kids Safari play area for children ages six and under. 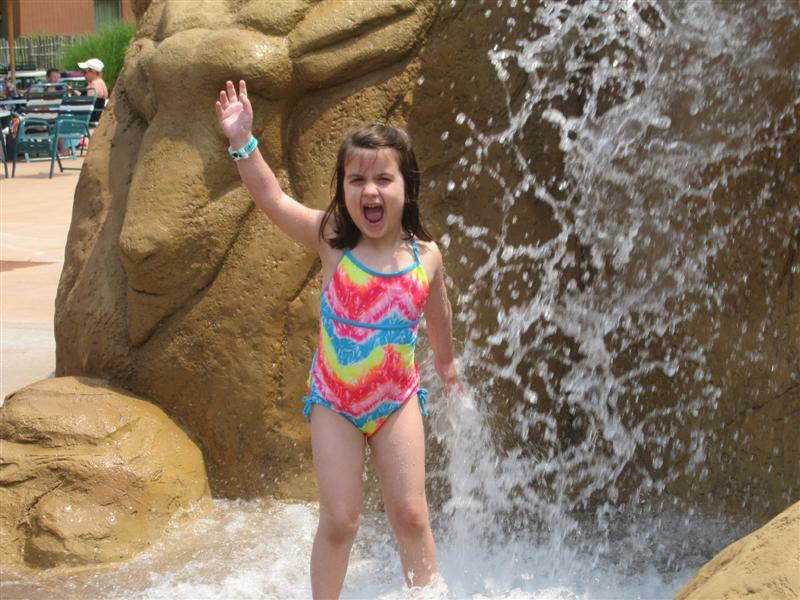 She enjoyed the slides for about a minute, then wanted to go back to the wave pool. As a parent, I appreciated the shallow water and the great visibility allowing you to see your kids from every angle. 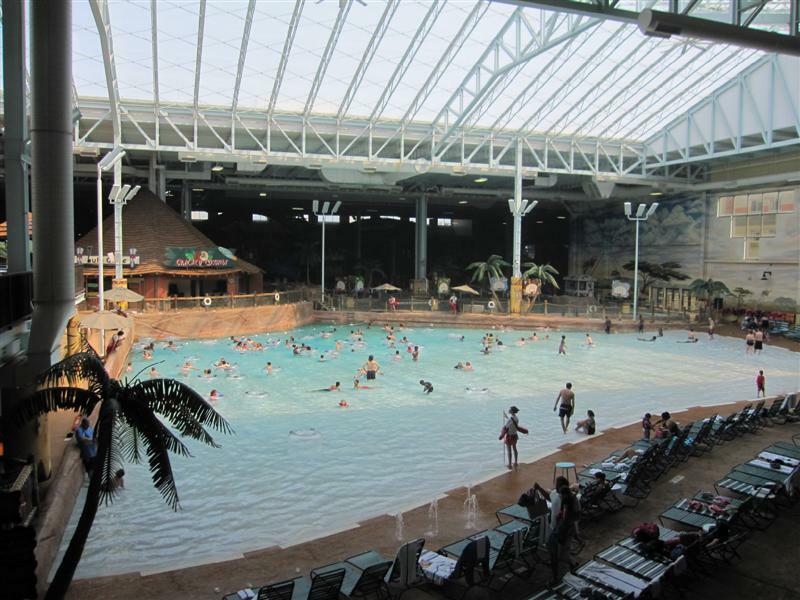 For a pragmatist, the best thing about indoor water parks is that it’s a weatherproof attraction. It is always 86 degrees within Kalahari. It actually felt even warmer when we were there, because the Texlon transparent roof allows the heat of the sun to in, and you can get sun tanned. Or burned, if you forget your sunscreen. I am too adverse to sitting around in a damp bathing suit all day to rate any water park, so I’ll let the kids do it. 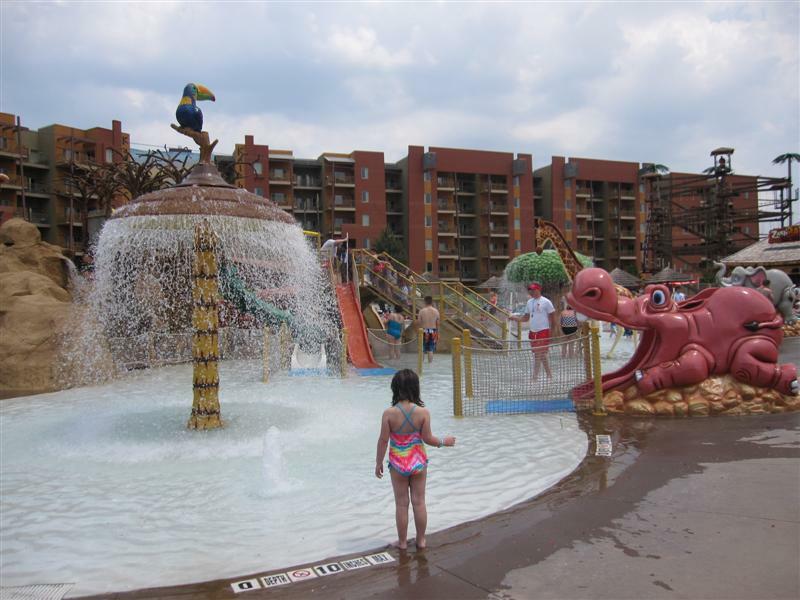 If you do go, check out the article I wrote for Family Vacation Critic providing tips to planning a water park trip. Especially the part about having an exit plan which minimizes meltdowns. Sounds and looks like so much fun! With all of those slides and pools, I can see how kids wouldn’t want to leave! Sandusky is a place? Will have to find it on a map 🙂 As a germa-phobe, I say “no way”, but I have to admit that it is intriguing. If the kids find out about this place my thoughts won’t matter anyway. This looks great, and it’s gonna give my kids another reason to bug us about going to Ohio on vacation. It just doesn’t sound natural to say that, but now that the non-roller coaster rider has something to do, I fear it’s inevitable. A really good place for family get together especially this summer. Everyone will surely have fun especially the kids. 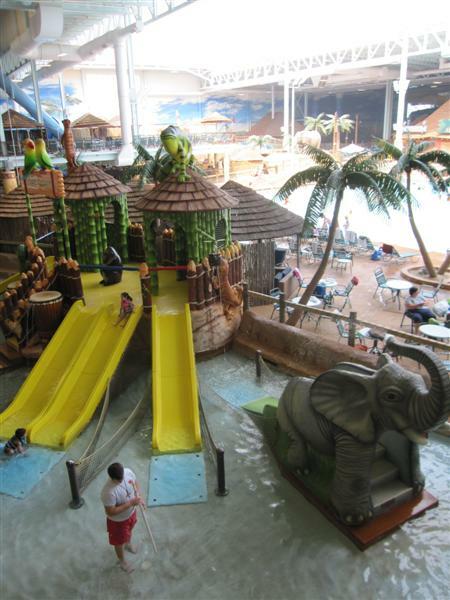 I have seen commercials about this waterpark and it looks like tons of fun! I have to admit, I’m a big kid at heart and I love water parks too! Do you think there are enough adult water attractions to keep a big kid at heart entertained? Yes, I would say the lazy river is good for grown-ups who like a laid-back experience, and the wave runner / surfing simulator is fun for thrill-seekers. Looks awesome. 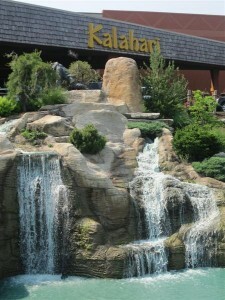 There’s another Kalahari in Wisconsin Dells. I’m hoping to make it out there sometime. It’s not as big as the one in Sandusky, but it’s got a lot of the same attractions. I love the resort’s African theme.